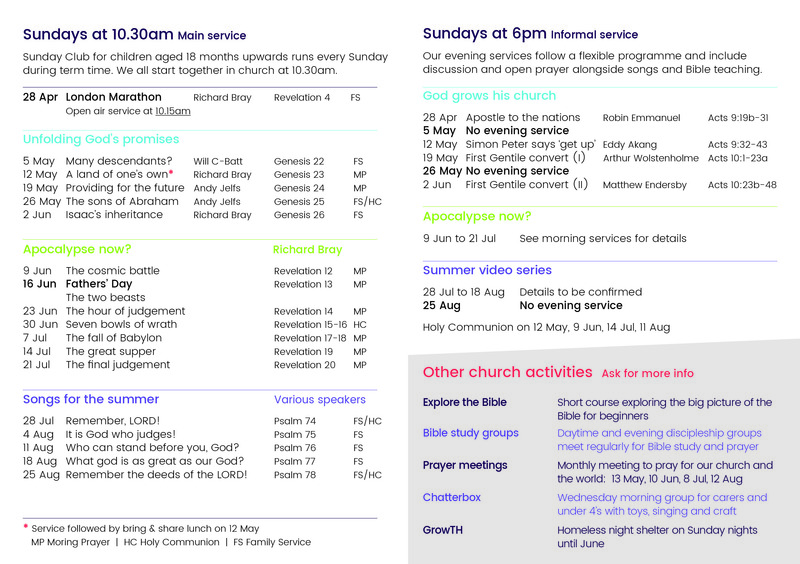 10.30am: Our main service which includes children’s groups, and monthly Holy Communion (usually the last Sunday of the month). 6pm: A more intimate and informal service which includes opportunity for discussion and open prayer. Every Sunday except on bank holiday weekends. Our current programme for the term can be found here. As you walk in, someone will welcome you and will give you a Bible with a service card inside. You can choose where to sit, but ask the people at the door if you’d like guidance. When the service starts, the rector or whoever is leading the service will greet the congregation. When we sing, the words are projected on screen. You may not know some of the songs. That doesn’t matter. Join in or just listen, as you prefer. When we pray, a church leader or member of the congregation will lead us in prayer. This will include the prayer that Jesus taught his first disciples, and other intercessions. give a talk based on what we’ve read. During the service, there’s an opportunity for giving money in the collection. This is mainly for regular members, so please don’t feel you have to! The service usually lasts between an hour and an hour and a quarter. Refreshments are available after the service. You are welcome to stay and chat with others. On the last Sunday of each month, there is a service of Holy Communion. Holy Communion is a central part of Christian worship, a time when we remember the sacrifice of Jesus on the cross using the symbols of bread and wine to represent his body and blood. In the service, we follow Christ’s instructions to his disciples to remember him in this way. You may also know Communion as the Eucharist, the Lord’s Supper or Mass. If it’s your normal practice to take Communion, you’re welcome to join us in doing so. If you prefer not to receive bread and wine, do come forward for those distributing bread and wine to pray with you. 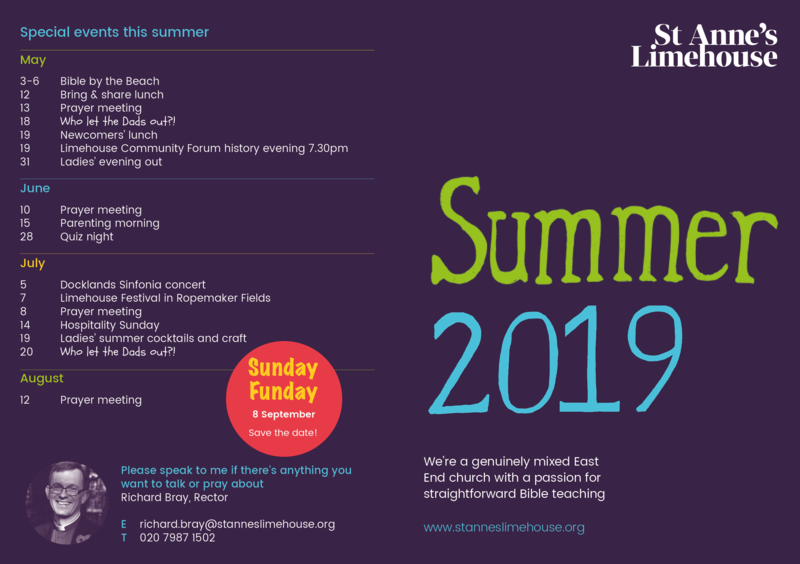 In the 10.30am service, the children and young people meet with us during term time, then leave for Sunday Club during the service. Sunday Club meets downstairs in the crypt. There is also a crèche room for children under 18 months who need to exercise their lungs. The sound from the service is relayed to the crèche room. Our playgroup for 0-3 year olds meets in the crypt on Wednesday mornings during term time from 10 till 11.30am. There are toys, songs, crafts and stories for the children, and coffee and chat for the grown-ups. All parents, carers and toddlers are welcome. Get in touch for details. 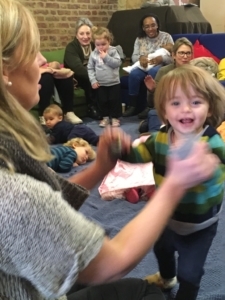 Once every couple of months we have a Saturday morning group for dads & toddlers in the crypt, with toys for 0-3 year olds, bacon sandwiches and newspapers. It’s a great opportunity to enjoy some quality time with your little ones and get to know other dads in the area. Get in touch for details. We run a number of groups for children aged between 18 months and 11 years during our Sunday morning services in term time. See the section above for more details. Can’t see what you’re looking for here? 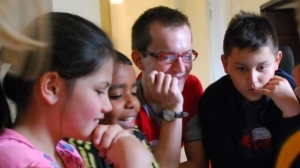 Get in touch if you have a question about groups for children and young people at St Anne’s. We’d love everyone to join a discipleship group if possible, as well as being part of church on Sundays. Being part of a smaller group helps us grow stronger relationships and discuss the Bible’s teaching more fully than a Sunday service usually allows. 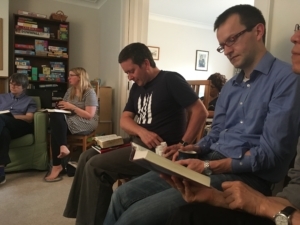 Small groups meet for fellowship, Bible study and prayer in people’s homes. There are currently groups meeting in Limehouse, Devons Road and on the Isle of Dogs. Groups usually meet fortnightly on Wednesday or Thursday evenings. Get in touch for details. For anyone who can’t come to an evening group, there are Bible study groups for ladies on Monday mornings and for men on Thursday afternoons. Get in touch for details. Can’t see what you’re looking for here? Get in touch if you’d like to join a small group but none of these seem to fit the bill! Have you ever wondered who Jesus is, or why Christians believe what they do? Everyone is welcome at Christianity Explored. Whether you’re a complete sceptic or someone who wants to brush up on the basics, Christianity Explored is designed for you. You can ask any question you like, or you can just listen. 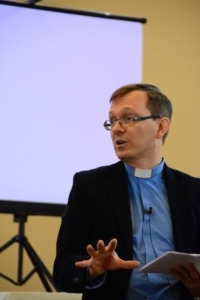 For more details about the course visit the Christianity Explored website. We run Christianity Explored at St Anne’s most terms and can usually be flexible to find a time that suits you. For more information about courses at St Anne’s contact Andy Jelfs. Deep down, many of us have questions about what life is about. Christianity Explored is a free seven week course looking at the basics of the Christian faith. It focuses on exploring who Jesus is and why it matters today, through considering the eyewitness accounts of Jesus’ life.